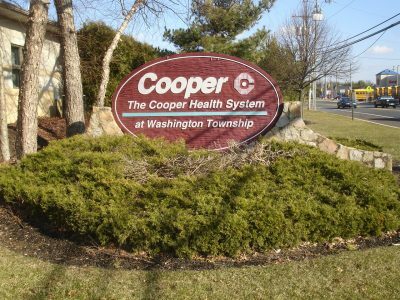 Washington Township, Gloucester County, NJ – Cooper University Health Care has had medical offices for many years at the Bunker Hill Center located at Hurffville – Cross Keys Road and Ganttown Road in Washington Township. 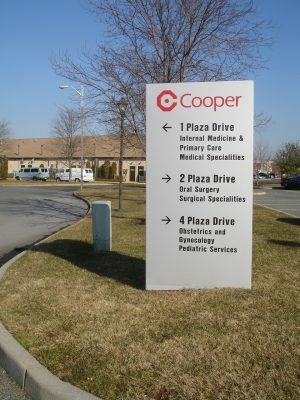 When it was time to revise and increase the visibility of its signage, Cooper turned to CES for site planning and Planning Board representation. CES identified many changes to the proposed signage and completed careful research to identify any issues the Town may have raised. CES prepared and submitted the plan, and our engineers gave testimony for the approval. CES is proud of our involvement with civil engineering projects, surveying, phase I environmental reports, and other consulting services for many healthcare projects involving hospital construction, urgent care facilities, traffic flow, traffic signals, and signage.